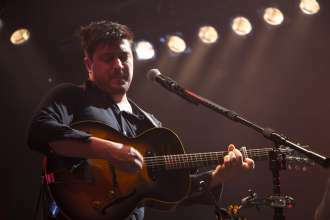 Mumford & Sons Performed At Molson Canadian Amphitheatre and Blew Our Minds! 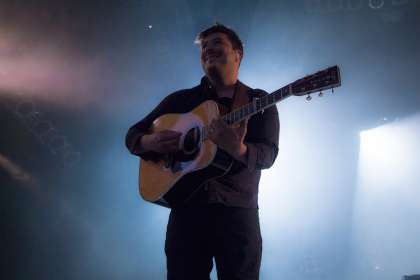 Mumford & Sons graced the stage at the Molson Canadian Amphitheater in Toronto on June 13th, and yes, we were there to witness this amazingness!! Aside from performing all of our favorite songs, various crazy events occurred that made it an unforgettable night… and we’re here to share it all with you. The band is celebrating their newest EP Johannesburg which is coming out this Friday June 17th, so in amazing fashion, they had Baaba Maal join them on all three of their Canadian tour dates and- get this- the entire crowd sang Happy Birthday to Baaba last night, in Toronto! 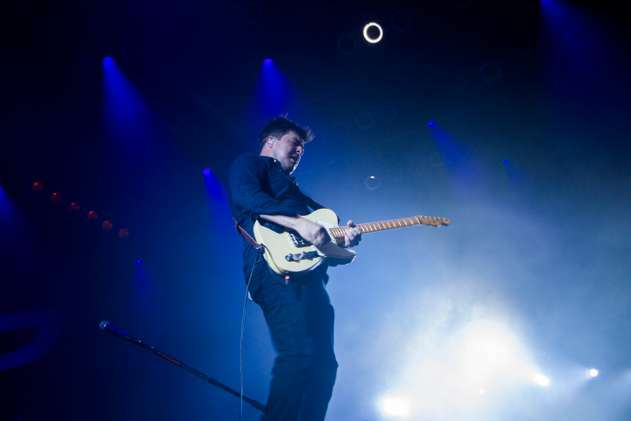 The show was electrifying and full of energy to say the least; the set list had the perfect mix of their old, more folk-inspired songs, as well as their new slightly more electric vibes. On top of performing all their amazing songs, they threw in a cover of Bruce Springsteen‘s “I’m on Fire“, which blew us away. One thing we know for sure is, if we weren’t excited enough for Johannesburg coming this Friday, we are ecstatic now! !